Ada pertanyaan untuk Worldhotel Saltanat Almaty? 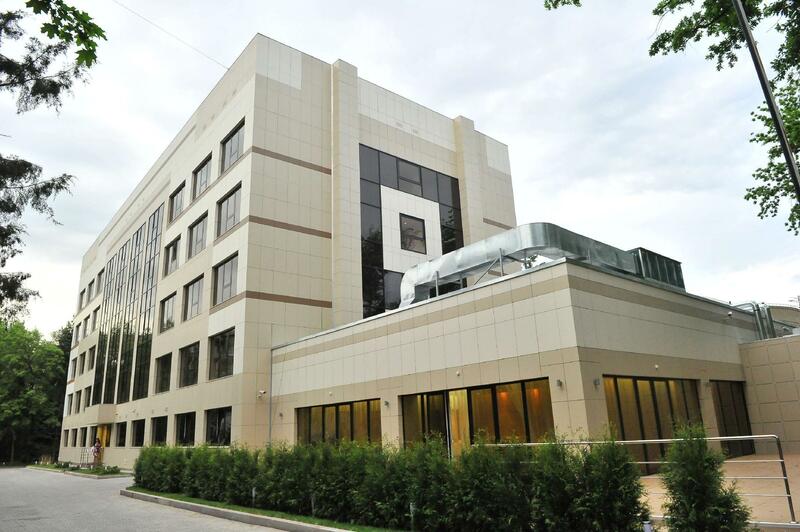 Terletak strategis di Almaty, Worldhotel Saltanat Almaty adalah tempat yang luar biasa untuk menelusuri kota yang aktif ini. Dari sini, para tamu dapat menikmati akses mudah ke semua hal yang dapat ditemukan di sebuah kota yang aktif ini. Bagi Anda yang ingin berjalan-jalan, Center Smart Tourism, Shop Frantsuzskiy Dom, Kazakhstan National Science Academy hanyalah beberapa dari obyek wisata yang tersedia bagi para pengunjung. Gunakan kesempatan untuk menikmati pelayanan dan fasilitas yang tidak tertandingi di hotel Almaty ini. Ketika menginap di properti yang luar biasa ini, para tamu dapat menikmati layanan kamar 24 jam, WiFi gratis di semua kamar, resepsionis 24 jam, penyimpanan barang, Wi-fi di tempat umum. 60 kamar yang tersebar di 5 lantai memberikan suasana hangat dan menyenangkan ketika Anda jauh dari rumah. Kenyamanan modern seperti televisi layar datar, akses internet - WiFi, akses internet WiFi (gratis), kamar bebas asap rokok, AC dapat di temukan di beberapa kamar. Fasilitas hiburan hotel ini seperti pusat kebugaran dirancang untuk bersantai. Fasilitas super dan lokasi yang istimewa menjadikan Worldhotel Saltanat Almaty tempat yang sempurna untuk menikmati penginapan Anda selama di Almaty. Clean hotel with comfy bed and pillows. Has printer and usb port in the room. Breakfast is delicious, especially croissants. Have lots of vegetarian options. They charge half the room rate for early check in. Hotel service is consistently good. Keep it up! 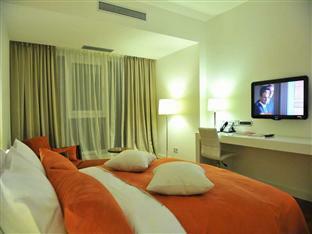 As a frequent traveler, Worldhotel Saltanat provides a world class standard facilities and services to all the tenants. The bed is extremely comfortable and the room is quite clean. They provide a good quality breakfast in the restaurant and the waitress in the restaurant are all very attentive. The front desk is friendly and responsive to request. The only demerit is the housekeeping is lack of detailed. Most of the time they missed out some places to clean. Will come back for sure! I had a 12 hr layover and found this hotel to meet all my needs. Much nicer than staying at the airport for 12 hrs. Very nice room, clean, and breakfast brought to my room no extra charge. Stayed here for 6 nights for business. Always glad to come back to the hotel after a day's work. Rooms were modern (check out the shower - never seen this anywhere else) and clean. Lots of power plugs available and the room is very well designed with a traveler's needs in mind. Used the reception to help arrange taxi service almost everyday while I was there. They speak great English and were a wonderful help. Best part of this hotel was the breakfast. Consistently high quality produce was used and the freshness of the juice was amazing. Looked forward to breakfast everyday, though I also had room service and that was just ok. Definitely value for money if you don't mind not having a pool, palatial rooms and a large driveway. Gym is very small. If you are staying here, the subway is 5 mins away. Also have heard many things about a restaurant called Olivier across the street. Did not try the food there though. the hotel did the job but is certainly not a memorable experience! 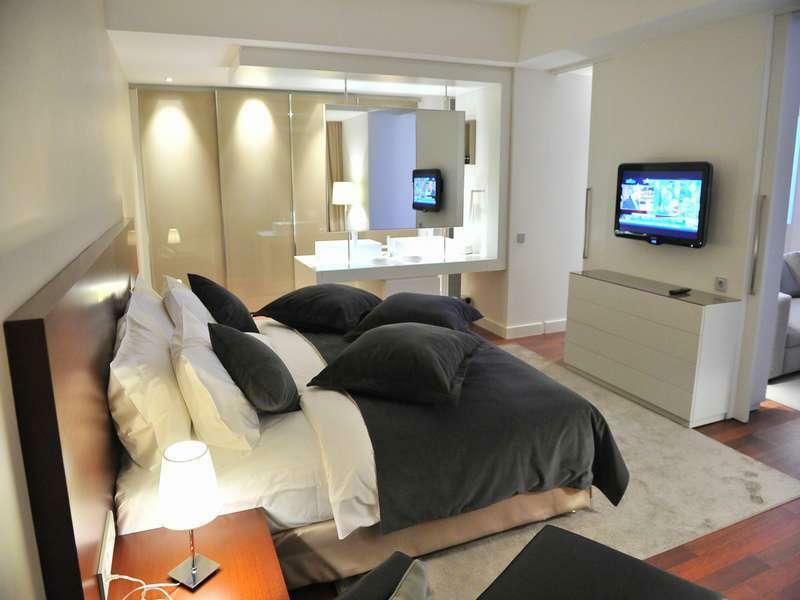 A modern hotel, very friendly and efficient staff, good food and on top, very silent rooms ! We often use this hotel for a short stopover in Almaty when traveling from Kazakhstan to another country. It is not inexpensive but is reasonably close to airport by taxi, in a quiet location, close to some shopping, close to Shymbulak. Staff is very good. 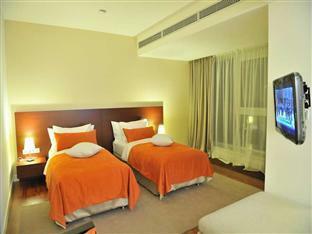 Rooms are plain but kept well maintained. Restaurant is good for breakfast, and there are other restaurants within walking distance. Have eaten lunch in bar a couple times, food is good quality. Never had a problem here. We stayed as a family for a short visit to Almaty. We have previously stayed in this hotel and would return. Hotel is new and clean, well kept. Room is small, toilet and shower is a modular component design but is well maintained and all works. Hotel is reasonably close to airport, shopping, restaurants and is in a quiet location. Staff is attentive. Restaurant has decent breakfast buffet. We travelled as a couple with 11 year old. Stayed in a standard room with an extra bed rolled in. Room is small but comfortable. Bathroom and shower are small and modular, but are clean and no issues. 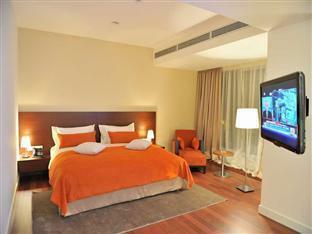 room is good for a short visit, I would upgrade to a larger room for a longer stay. Hotel is close to some shopping and close to mountains. Area is quiet and safe. Small restaurant with good breakfast. Small bar with decent food. Reasonably close to airport and I have used this hotel on several occasions and would continue. Not the cheapest, but on par for good Almaty hotels. Good stay for one day in transit. Very friendly, professional and helpful staff. having my flight late at night I have asked for the late check out and was given the extension until 2pm. Used this time to finish some work (thanks to high speed and reliable internet). Breakfast was not included (for such price it was expected). Location is a bit further away from the historical city centre, but still within a walking distance. Отличный отель, с необычным дизайном. Все чисто и аккуратно. Завтрак был отличным! Decent hotel, probably 3* by western standards. The hotel was clean and the staff were attentive. The breakfast was pretty bad and cost about $30 US. There was an additional charge of approximately $30 US for a second person in the room. I understand this for more than 2 people, but hotel rooms are meant for 2 people. When asked what this charge was for, they stated electricity, water, and towels. Not sure how 2 people would use more electricity (maybe one person would sit in the dark? ), but the extra 5 minutes of water in the shower and set of towels are definitely not worth $30 per day. the food i ordered for my in room dinning very nicely presented, very tasty, good portion size and most of all value for money. My Thumbs up the chefs and the associates this hotel has. An asset worth every dollar. Keep it and my sincere thanks for ma short stay memorable. 1 night stay over while awaiting my connection flight.